Rare coins will add beauty and value to any coin collection. Think about the history you're holding in your hand. It could be a Standing Liberty quarter that a soldier carried with him during World War I. Or maybe a Morgan silver dollar that road with a pioneer in the wild-wild West. 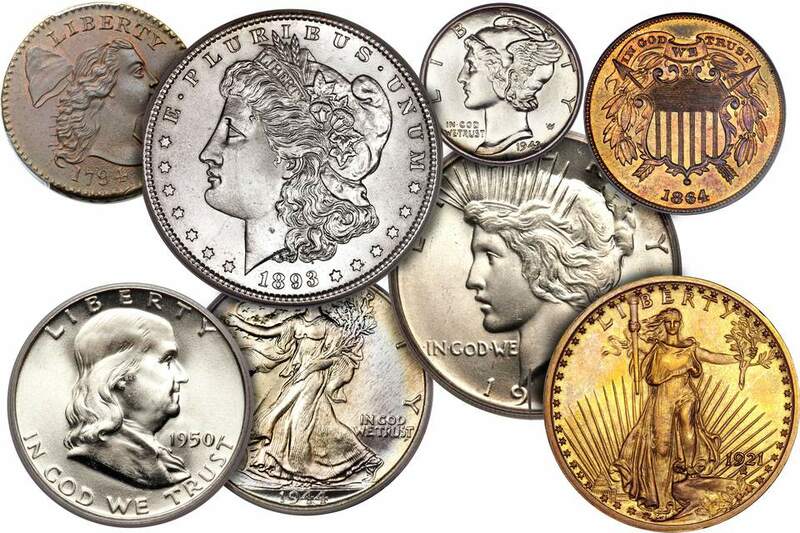 Coin collectors are stewards of these treasures and a wise collector can also turn them into an investment. These coins were selected based upon the artistic beauty of the coin's design, popularity with collectors and the potential to increase in value over time. You will find an assortment of coins that are affordable for the beginning collector, as well as challenging enough for the more advanced collector and everyone in between. Make sure you buy these coins from a reputable coin dealer and have them certified by a third party grading service. In 1909 the United States changed the design of the one-cent coin from the Indian Head to a design that commemorates the 100th anniversary of Pres. Abraham Lincoln's birth. The coin was an instant success with the public. However, Victor David Brenner placed his three initials on the reverse of the coin near the bottom. Previous designers only use their last initial, and mint designer Charles Barber took exception to this new trend. After the United States Mint facility at San Francisco produced 484,000 new Lincoln pennies, the initials on the reverse were removed. This change in design created an instant scarcity. Some may argue that the 1909-S VDB Lincoln Cent is the most popular U.S. coin. Many coin collectors begin their coin-collecting journey by collecting Lincoln pennies. 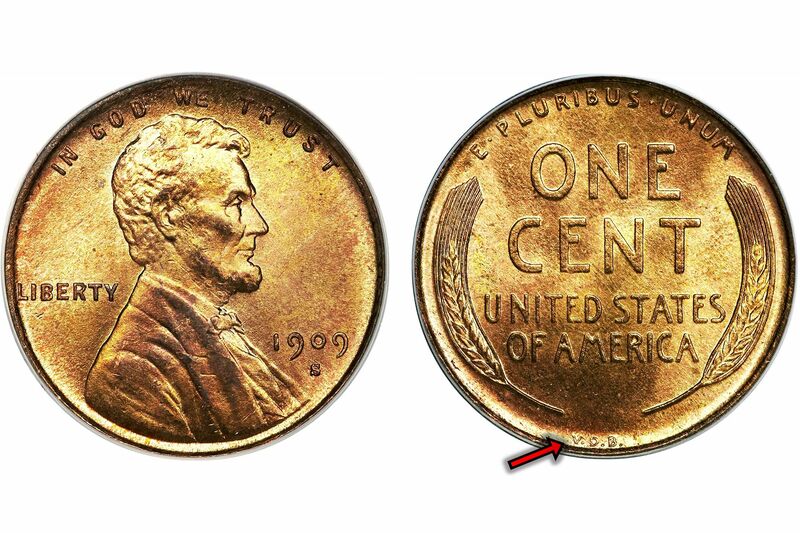 Given its scarcity, the 1909-S VDB is the "Holy Grail" of Lincoln pennies. This rare coin is usually the last coin Lincoln penny collectors will add to their collection. Over the years, this coin has maintained its value and prestige among collectors of United States coins. Anthony DeFrancisci designed the Peace silver dollar, and it was first produced in December 1921. The United States Mint also produced a substantial mintage of 1921 dated Morgan silver dollars. The idea to commemorate the peace that followed the "Great War" was first proposed by Farran Zerbe, former President of the American Numismatic Association from 1908 to 1910. The idea caught on, and DeFrancisci produced a beautiful design emblematic of liberty on the obverse and peace symbolized by an American Eagle on the reverse. The first Peace silver dollar coins minted in 1921 had a high relief but were too difficult to strike up. The mint did not begin striking these coins until December 26, 1921. This late start gave an extremely limited time for the United States Mint to produce these new dollars. Slightly more than 1 million coins were struck, and the public snapped them up rapidly. Although this coin can be considered scarce, a beginning collector can acquire a circulated example at a modest cost. In 1878 the United States Congress passed the Bland-Allison Act that required the U.S. government to purchase large quantities of silver and turn it into silver dollars. Engraver George T. Morgan initially created this design to be used on a half dollar. It was eventually modified and adapted for the silver dollar beginning in 1878. The United States Mint was consumed entirely with producing silver dollars to fulfill the requirements of the Bland-Allison Act. Although the 1878-CC Morgan silver dollar is not a key date nor scarce with approximately two million pieces minted in the Carson City, Nevada branch mint facility, owning one of the early coins produced at the Carson City mint will add character to any coin collection. Circulated pieces are moderately priced within the budget a beginning collector. Uncirculated pieces are also within the budget of an intermediate collector. Although not as scarce as the 1909-S VDB Lincoln cent, the 1914-D coin comes in a close second with a mintage of 1,193,000 coins produced. What makes this coin desirable is that uncirculated specimens were not saved in the same quantities that the 1909-S VDB coins were. Therefore, uncirculated 1914-D examples are scarcer than the more popular 1909-S V.D.B. coins. Given the popularity of Lincoln cents among coin collectors, this coin has also maintained its value over time, especially for intermediate and expert collectors seeking a quality uncirculated coin. However, circulated specimens are also within the coin collecting budget of beginning and intermediate coin collectors. The 1955 Doubled Die Lincoln cent is another coin that is extremely popular among Lincoln penny collectors. Although this is considered an error coin, many collectors still seek to add one to their collection. This coin is undoubtedly the most famous error coin ever produced by the United States Mint. The tale of this error coin began when the United States Mint used a coin die that received two impressions that were slightly offset from each other. Mint workers discovered the error after approximately 20,000 to 24,000 coins were already mixed with a batch of properly produced coins. The mint decided that it was not worth the expense to melt the entire quantity of coins to scrap the error coins that got mixed in. When news of this error coin began appearing in local papers in the northeastern United States, many people pulled the coins out of circulation. There are many uncirculated and About Uncirculated examples that can be obtained for your collection. The 1937-D Three-Legged Buffalo nickel is another error coin that became very popular with collectors. Given the time and cost to produced coin dies, many dies were polished or ground in order to extend their die life. Clearly, an overzealous mint employee ground the surface of the die to the point where it removed the details for the front leg of the Buffalo on the reverse of the coin. This coin did not immediately receive the popularity and newsworthiness of the 1955 Doubled Die Lincoln cent. Therefore a majority of these coins saw circulation. Most intermediate and advanced collectors of Buffalo Nickels will want to add one to their collection. Circulated examples are moderately priced, but uncirculated examples are scarce and only coin collectors with a deep enough pocket will be able to afford one. Another coin that was part of the "American Renaissance of American Coinage" in 1916 was the Mercury dime. Although the proper name for this coin is the "Winged Liberty Head Dime," the public thought that the lady with wings on her head was actually the Roman god Mercury. Production of this coin at the Denver mint in 1916 yielded only 264,000 coins. This immediately made the coin very rare. Coupled with the popularity of the new design, only intermediate and advanced collectors will be able to afford one of these coins for their collection. The Standing Liberty Quarter was first produced in 1916 with a very limited mintage. Therefore, the 1916 Standing Liberty quarter is extremely rare and expensive. Consequently, the second year of production in 1917 is a more affordable example of a classic United States coin. The Type 1 coin features Lady Liberty with her left breast exposed. Some people believe outrage sparked by the public caused the United States Mint to produce a second type of coin with Lady Liberty's chest covered by a coat of chain mail. Another theory is that the United States was preparing for entrance into World War I in 1917 and the coat of chain mail was added to indicate that Lady Liberty was ready for battle. Circulated examples of this coin are affordable for even the beginning collector. An intermediate coin collector can easily obtain uncirculated examples. The Washington quarter first produced in 1932 and was intended to be a one-year commemorative coin to commemorate the 200th anniversary of George Washington's birth. Due to the Great Depression, no Washington quarters were produced in 1933. However, the issue proved to be so popular that the design was permanently adopted in 1934 and is still in use to this date. The 1932-S Washington quarter has a lower mintage than the 1932-D, but more of them were saved and are readily available and higher grades. The 1932-D quarter is scarce and will prove to be a better addition to your coin collection and most probably will appreciate better than the San Francisco issue. The United States Mint first minted the Saint-Gaudens $20 gold coin in 1907. The first coins were made in ultra-high relief but proved too difficult to strike correctly and did not stack neatly for bankers. Engravers at the mint lowered the relief in 1908 and coins were readily made for production. Most numismatists agree that the Saint-Gaudens $20 gold coin is the most beautiful coin ever made by the United States Mint. Initially, the motto "IN GOD WE TRUST" was not included in the original design by Augustus Saint-Gaudens. The design was modified at the end of 1908 to include the motto on the reverse of the coin. This "No Motto" coin is available at a modest price considering it is a gold coin that will add value to any coin collection. What Are the Most Valuable U.S. Nickels? Rare Coins at Face Value!